Can A Bar Be Held Liable For Over-Serving? New York State has a Dram Shop Act which is intended to protect parties who have consumed alcohol and continue to be over-served by bars or restaurants. 1. The defendant establishment provided alcohol to an intoxicated person. 2. The alcohol was provided to someone who was already visibly intoxicated. 3. The injury in question was caused by the defendant’s intoxication. If you have questions regarding a possible Dram Shop action, please feel free to contact us for a discussion of the specific facts of your case. Serving accident, injury, and workers' compensation victims throughout Upstate New York including Albany, Fulton, Greene, Montgomery, Rensselaer, Saratoga, Schenectady, Schoharie, Warren, and Washington counties. Attorney Advertising. 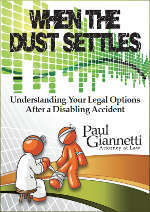 This website is designed to provide general information to injury victims. It is not intended to be legal advice. It can not and should not be substituted for proper legal representation. You should consult an attorney for legal advise regarding your rights as every case is unique and requires in depth analysis and preparation. 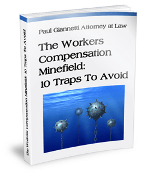 Copyright © 2012 Paul Giannetti Attorney At Law. All rights reserved.